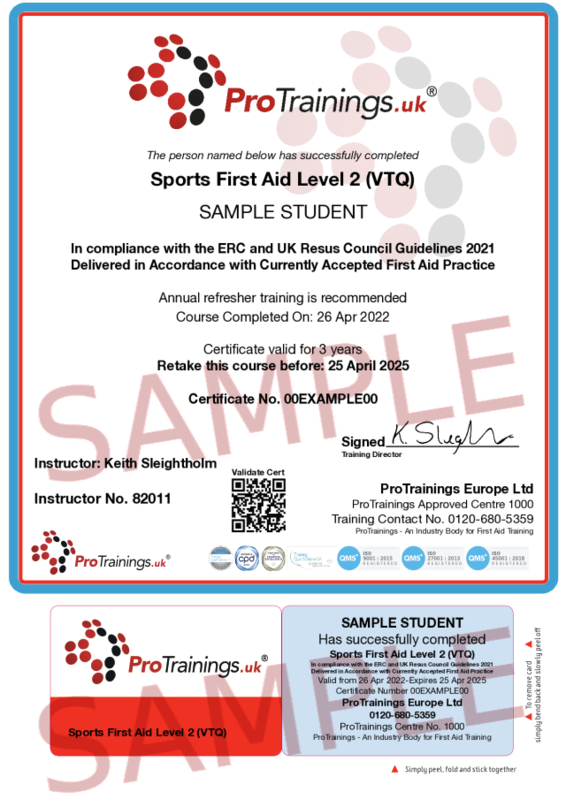 The Sports First Aid – First Aid Course for Sports Emergencies course is aimed at anyone who requires a course in sports first aid. The certificate is valid for 3 years and a recommended annual refresher can be done online. This course covers basic first aid and is aimed at people who need first aid who work in various sports sectors. It not only covers basic first aid but also all the specific problems that arise in sports. Primary and secondary subjects are covered, including soft tissue injuries, head injuries, types of cuts, and many illnesses that could arise.